Are We Missing the Importance of Risk Layering?Are We Missing the Importance of Risk Layering? Are We Missing the Importance of Risk Layering? Risk comes in all forms and fashions and it’s a real talent to identify risk. Howard Marks, Chairman of Oaktree Capital Management and who was kind enough to write a testimonial for my book, is perhaps the foremost expert at identifying different types of risk and assessing it. I recommend you read what he has written and watch some of his speeches as he is quite a brilliant thinker. The best investors think about risk first and then reward as an investment that has dropped 50% has to go up by 100% just to get back to where you started, which is quite a daunting mountain to climb. On the surface if we know two things then we can adequately assess how risky something is. They are frequency and severity. How often does an event occur and how costly is it when it does occur? Fender benders happen fairly frequently and are not that costly but cumulatively add up while earthquakes are relatively infrequent but can be quite severe. These types of risks are generally speaking somewhat easy to quantify. What is more tricky, however, is when there are multiple risks layered one on top of another (to be discussed shortly) and joint probabilities involved. I will focus on the latter and then move to the former via an interesting piece of research about home mortgages. What do I mean by joint probabilities? I think I can best articulate this by using a couple of examples in CWS’ business of apartments. When we buy an apartment community there are certain risks that we enter into such as whether we estimated the expenses correctly, the new rents that will be attained when leases expire and are either renewed or a new resident moves in, the turnover rate, interest rate assumptions if we have variable rate loans, etc. If we are off even just little on each of these variables then they can all add up to result in a significant variance. For example, a 2% miss on revenue and 2% miss on expenses with a 50% expense ratio can combine together to create a 6% negative variance in Net Operating Income. This can be a meaningful miss, especially if you have a high degree of leverage (another important variable that adds risk) and if you’re not able to get back on track. Now let’s add some more complexity in terms of execution risk and correspondingly financial risk when the business plan calls for upgrading units and raising rents significantly. Now we have introduced more risk about the timing of when units become available to upgrade, the cost, labor accessibility, the rents attained, etc. What we have done is added more layers of risk by introducing more variables that can impact whether we stay on track, beat our projections, or go awry. Let’s say there are four things we need to get right in the first scenario of buying an apartment with no upgrade requirements or anything unique and they each have a 90% probability of being correct. This means that cumulatively there is a 66% chance that we will hit our projections. Obviously the odds are in our favor but not a slam dunk. Now let’s turn to the upgrade scenario and add another variable and now we have five critical variables we need to get right but this time with only an 80% probability of doing so. What was a 66% chance of being successful now drops to 33% by adding one more variable and 10% lower probability of success for each one? That’s a pretty meaningful change and shows why it’s important to build in a margin of safety when doing anything with multiple variables that all need to be successful. 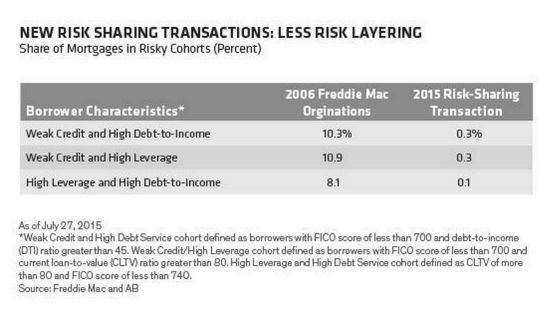 Earlier I referenced the mortgage market in the context of risk layering. This is a perfect laboratory for measuring the effects of this as it’s one thing to make a loan to someone with a low FICO score but this may not be an issue if they have a high down payment for example. On the other hand, a low FICO score, low down payment, and low income are a recipe for disaster, which is what transpired during the days of stated income loans. We all know how badly that ended. So where do we stand today in terms of the riskiness of new mortgages being originated? 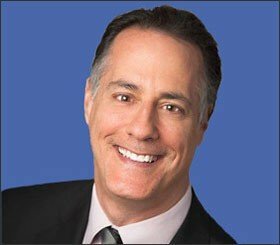 The analyst argues that people looking at general statistics about mortgage pools (such as FICO scores, debt-to-income, loan to values, etc.) 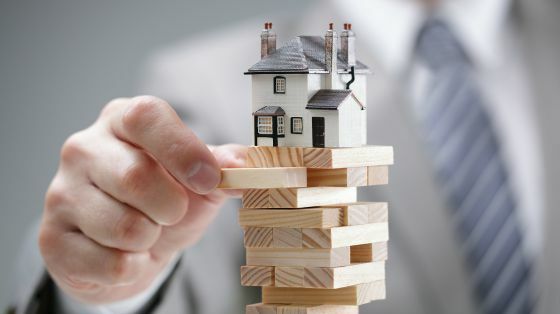 are missing the importance of risk layering that can only be ascertained by diving down into each mortgage. His unambiguous conclusion is that mortgage underwriting is dramatically tighter than it was and the safety and soundness of mortgages on the books of lenders are quite high. This reinforces to me that despite home prices having risen at a decent clip since the bottom of the recession there are not enough lending excesses to give me much concern that a bubble is forming. In addition, we still believe that there is not enough housing being produced for the demand, thereby leading to a shortage which should not only support housing prices but rents as well for apartment owners like CWS. We believe that a growing single-family market in the context of a very prudent mortgage underwriting market actually benefits apartment owners as it should lead to new home construction, improved job quality and growth, and more household formations that will benefit all suppliers of housing. The moral of the story is that there can be more risk than meets the eye when looking at general statistics and without a good understanding of how successful outcomes often require more than one variable ending up positively. On the other hand, in the case of mortgages today, there may be far less risk than meets the eye. How important do you feel that risk layering is? Is there another bubble forming? I welcome your thoughts. Please add your comments below. ‹ How Strong Are Older Families’ Financial Report Cards?